Prime Minister Nawaz Sharif on Tuesday said construction work for Karachi-Lahore motorway will begin soon , Express News reported. Addressing the annual awards ceremony of National Highways and Motorways Police in Islamabad, Nawaz said more Motorways projects will be initiated in the country. 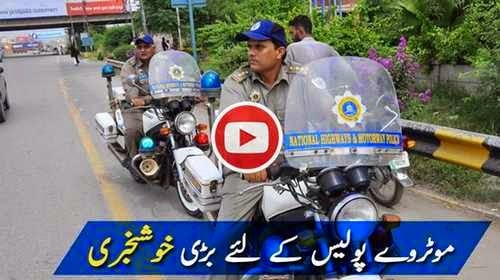 The prime minister also announced a 20 percent increase in salaries of Motorway police. Nawaz Sharif also appreciated the performance of Inspector General Motorways Police Zulfiqar Cheema. Inspector General Motorway police Zulfiqar Cheema while highlighting the performance of Motorway Police said the organisation is a role model for other public sector institutions as it has the highest traditions of public service.